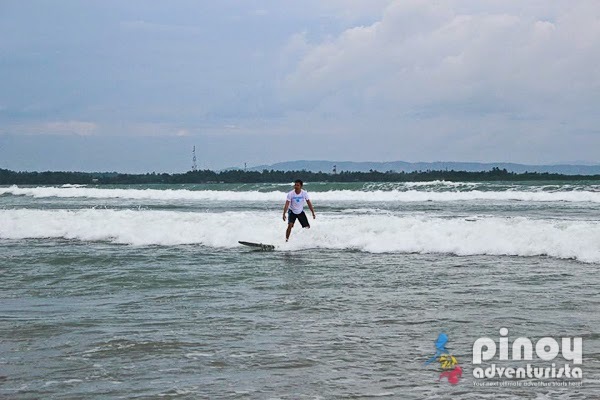 Gubat, Sorsogon is now emerging as one of the newest surfing destinations in the Philippines. 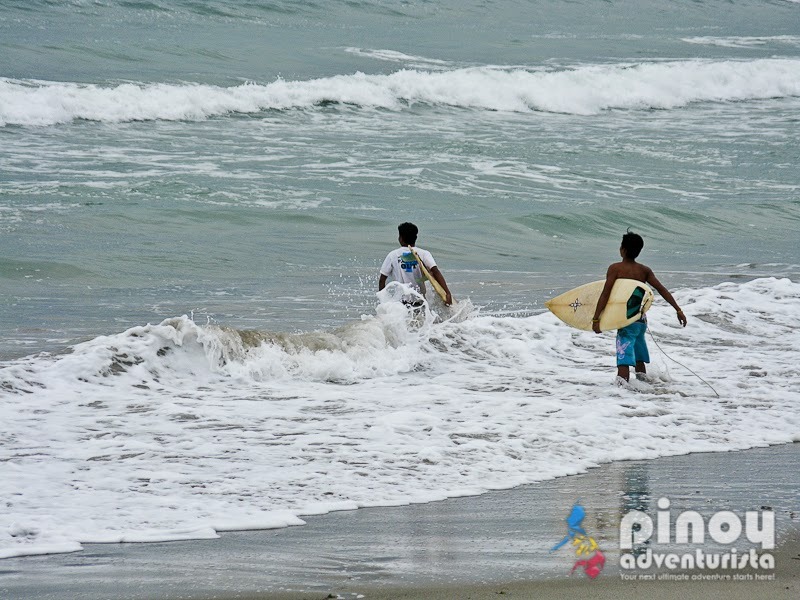 The sandy bottom of the beach along Gubat Bay makes it an ideal spot to learn surfing for those who wants to experience how is it to ride the waves. 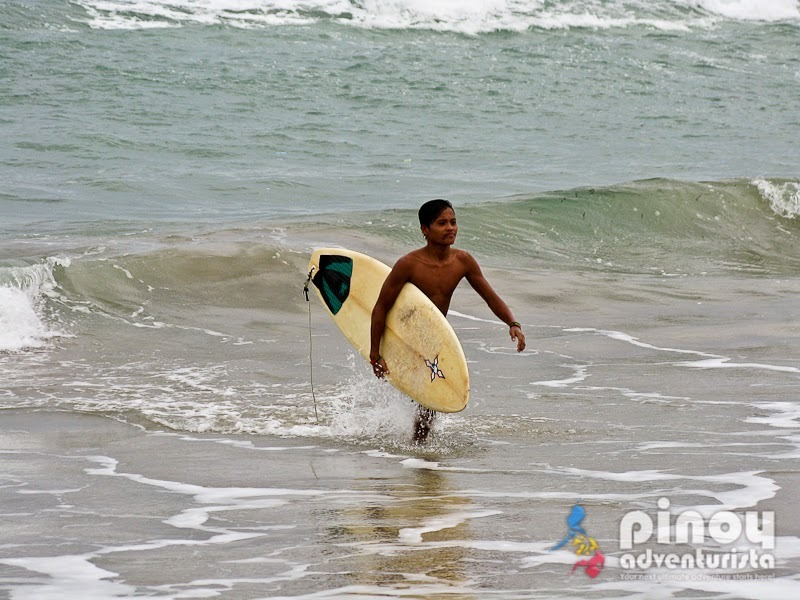 For the experienced surfers, the huge waves become their "playground" as they enjoy the ride with swells peaking to over 6 feet. 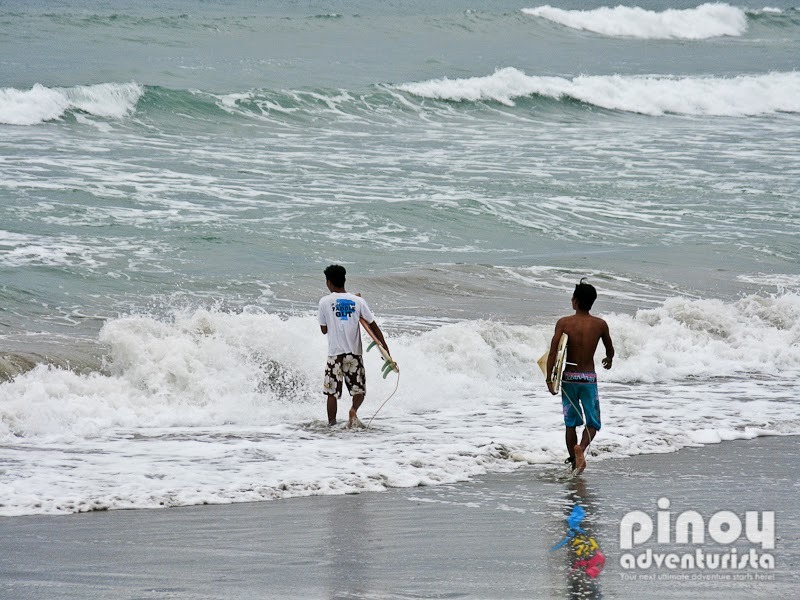 Facing the pacific, the surf break along Gubat Bay produces waves all year round with consistent major swell during the surfing season of October to March. Last February, during our Sorsogon trip, I had a chance to visit the town of Gubat to try riding their waves. We got in touch with Gubat Bay Surfers (GBS) president Noli Mercader for the arrangements of our surfing adventure. 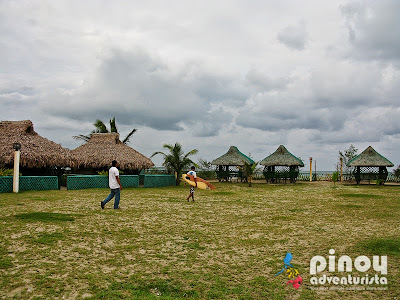 We met with his team at Gubat town proper and took a tricycle to the surfing site at the beach along Lacsa-Hilton Resort. It was already around 3:00 PM when we arrived, I guess it's already high tide, so we had to find a shallow area of the beach for me to surf. I don't know how to swim, so I requested that we only surf at the shallow part of the beach. Hehehe! The swell was good when we were there. It was quite a while since I last surfed, I must admit that I got a bit scared when I saw how strong the waves are. But my instructor assured me that it's okay and I can do it. Though not as "pro-like" ride, I was amazed that I was able to stand on the board on my first try. Yahoo! I am so delighted that I quickly get my balance on top of the board. Super enjoy! I did it over and over again until my 1-hour surfing lesson was finished. It is so tiring! But I'm so happy and fulfilled. 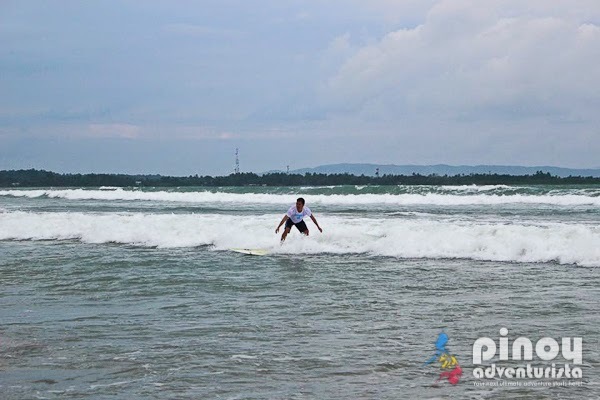 Overall, I had a great time surfing in Gubat Sorsogon. It is an awesome experience to finally ride the waves of Gubat. I've been wanting to do this since I heard that there's a surfing spot in this side of Sorsogon. 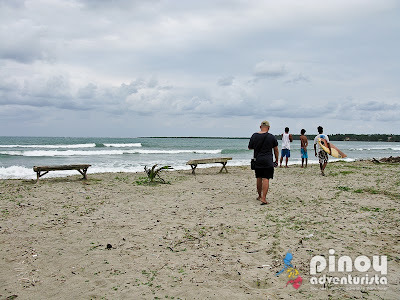 Thank you Gubat Bay Surfers (GBS) for all the help and assistance they extended to us. 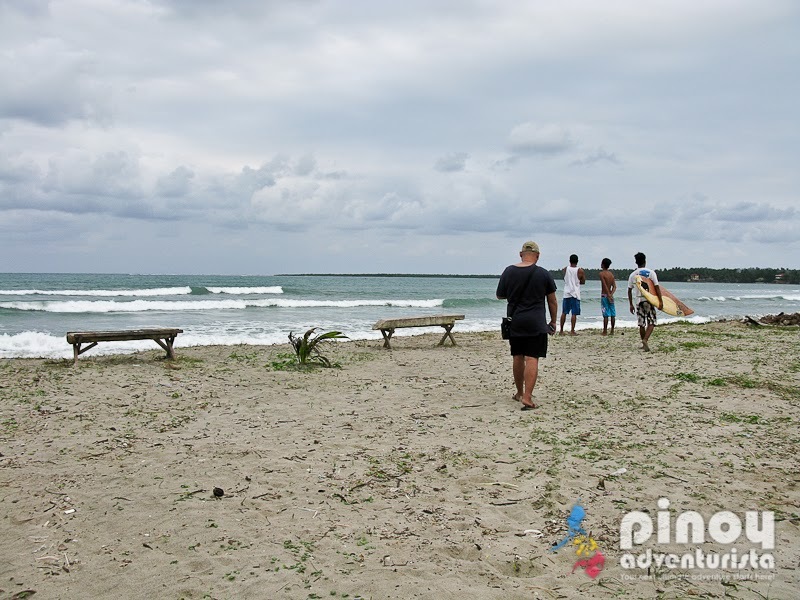 Thank you to Gubat Bay Surfers! 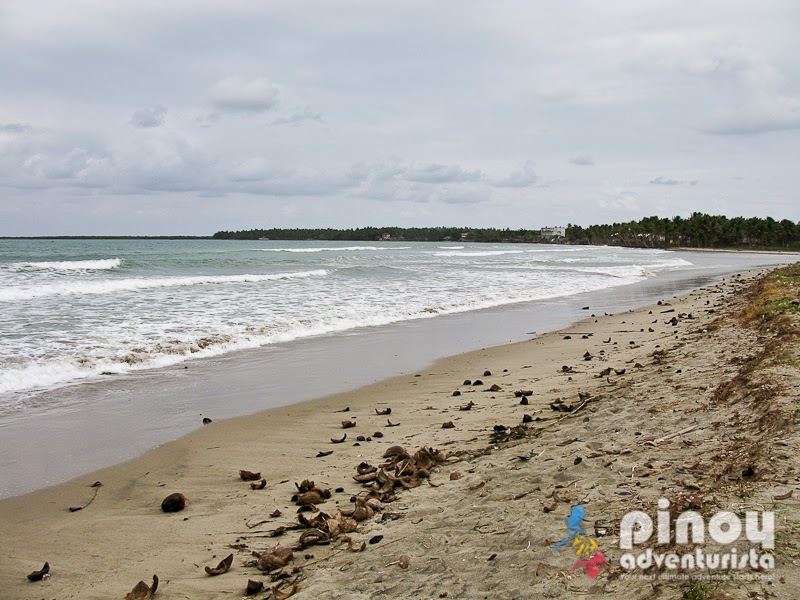 Buses from Metro Manila have direct trips to Sorsogon, travel time is about 12-13 hours. Alternatively, if coming in via air through Legazpi City Airport, take a bus or van going to Sorsogon City. From Sorsogon City, take a jeepney bound for Gubat. Travel time is 30-45 minutes, fare is around 25 pesos. 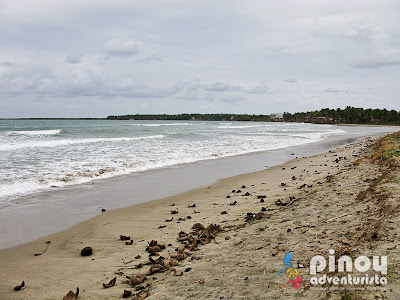 Other things to do and explore in Sorsogon? Click HERE. This surfing adventure happened on February 23, 2014 during our Sorsogon-Northern Samar-Samar trip. 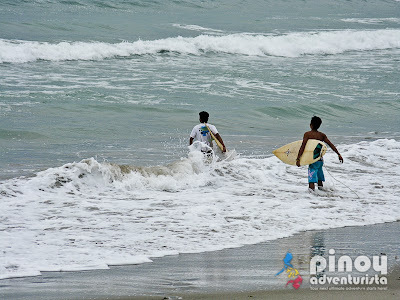 Mervz, I observed na parami ng parami ang nag-surf among us travel bloggers ah. I wished I can do this too kaso andun pa din ung fear na malunod ako hahaha.